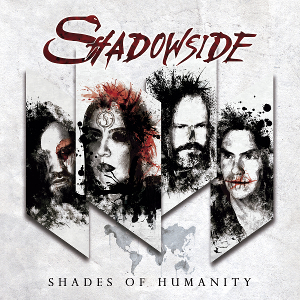 Brazilian heavy metal band SHADOWSIDE will release their fourth album "Shades Of Humanity" through EMP Label Group on July 28th in the USA and Europe. It will be aslo released with the Japan edition through SPIRITUAL BEAST on July 26th, import edition on August 4th in Japan and through FURIA MUSIC on September 4th in Brazil. The album explores deep subjects such as depression, abortion, the Mariana mining disaster in Brazil and mankind`s moral values, and branch out in musical ways nobody expected, while still keeping their heavy guitar riffs and catchy melodies. Produced and mixed by Fredrik Nordström (Arch Enemy, Hammerfall, Evergrey, In Flames, Dream Evil) and Henrik Udd (Architects, Dimmu Borgir, Dream Evil, Arch Enemy, Bring me the Horizon) in Gothenburg, Sweden. The cover artwork was developed by designer Douglas Jen of FURIA MUSIC, and demonstrates the heavy atmosphere of the lyrics, representing the several aspects of human personality, marked by defects and unfinished drawings that symbolize the imperfection of all people. 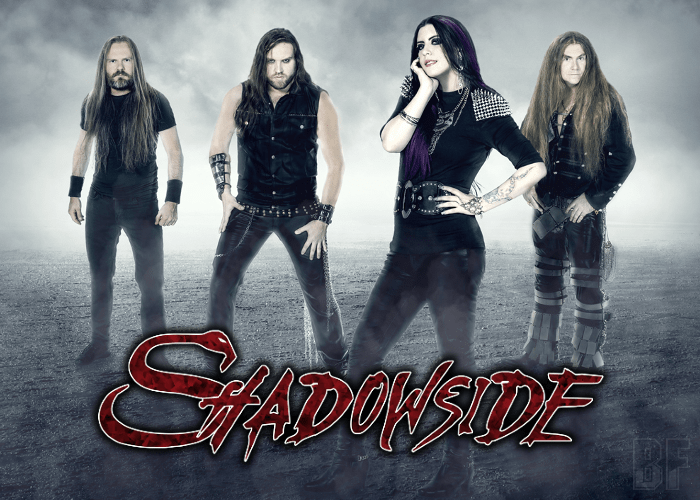 SHADOWSIDE was established in 2001, went on tour 30 countries, both as a headliner and a support act for legendary bands such as Iron Maiden, Helloween and W.A.S.P., and build on their reputation as a viable South American metal export.